We help you transform possibilities into successful products, combining expertise in science and technology with our love of invention and problem-solving. It’s a constant challenge – and one we relish. 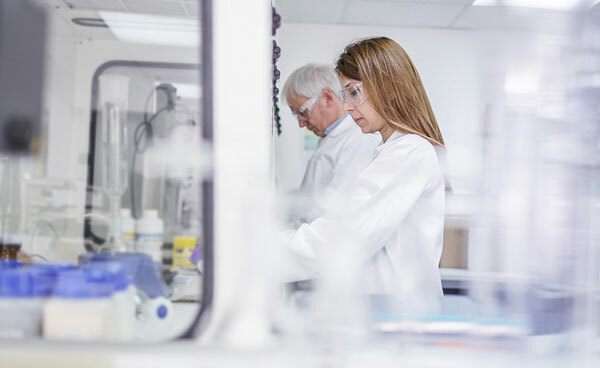 Our flexible, collaborative approach, broad market knowledge and unwavering commitment to quality mean that we can solve the most complex R&D challenges and quickly deliver tangible benefits to your business. Read more about the challenges we've helped our clients with. We bring together experts in complex science & technology and are guided by multidisciplinary, cross-sector team principles making us tenacious and creative in solving your most intractable problems. Working from offices in the UK and the US, we thrive under aggressive deadlines and have a strong commitment to best practice and quality standards. We are about 150 scientists, engineers, mathematicians and market experts that will enthusiastically and relentlessly work with you to achieve your vision. We believe that learnings from one sector can inform another, and therefore we believe in cross-sector approaches to team-building. Our client base is varied - we work with start-up companies and well-known global names. We focus in key vertical markets: medical, consumer, oil & gas and industrial. Our clients all wish to maximize the value on their investment in technology and R&D. 2016 marked Sagentia’s 30th birthday. During these three decades we have been a constituent part of the Cambridge Technology Cluster – the center of science & technology discovery and business innovation. We have led important developments in medicine, industrial design and consumer products. When we work with you, we will choose a team for your project very carefully, consisting of both scientists and engineers. We are involved throughout the development cycle from needs identification, concept creation and invention through to proof of principle, detailed design and transfer to manufacture. We have a very client-friendly approach to IP. Watch our animation to find out more. We have a strong commitment to best practice and believe in implementing and adhering to stringent quality standards. We operate a comprehensive quality management system that evaluates all our projects first hand. We are accredited to ISO 9001 and ISO 13485:2016. We have approximately 100,000 sq foot (9300 sq meters) of dedicated R&D laboratories and other facilities in Cambridge, UK. These include specialist labs for optics, chemistry, electronics, environmental testing, 3D printing, a fully equipped machine shop and dedicated, secure facilities for confidential projects. We have advanced systems for virtual product design, tailored software development processes and tools for both rapid software development and high-quality software. To read more about our sophisticated and extensive facilities, please click here. We also have offices and teams based in the UK and US (East and West Coasts).